Think going Lean is hard? Meet the person who helped the British government to undergo an Agile transformation in its digital services teams. 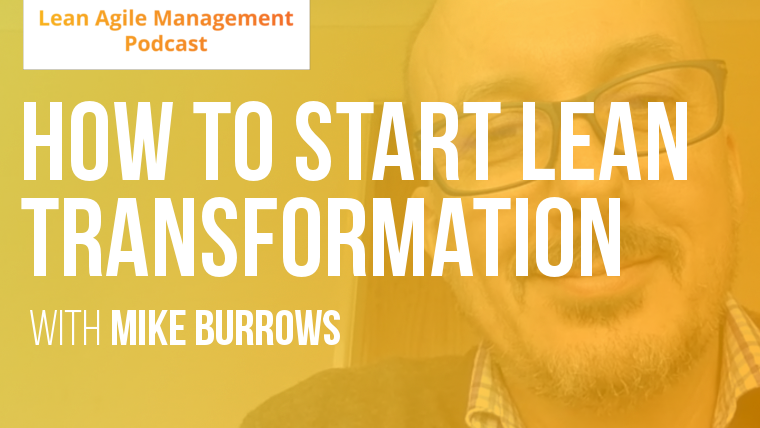 In the fifth episode of Lean Agile Management Podcast, we asked a change management expert and a governmental Lean-Agile professional Mike Burrows, who leads Agendashift™, to answer the itching questions about transforming teams, organizations, and even governments into Lean thinkers and agile practitioners. As Kanban, Lean and Agile become mainstream buzzwords, managers and executives get method-fatigue and simply want to get down to hard results. For the passionate change agents, the job of evangelizing a genuine transformation becomes a much bigger challenge. It doesn’t have to, though. Why are we so passionate about pushing one method, tool or philosophy over another, when all we truly want are the final value and outcomes of a true transformation? Today, we talk about kick-starting a Lean-Agile transformation without concentrating on the names but rather the results. Governments are going Agile. Here is how. How to convince executives in the value of Lean or Agile without using any labels? What is the secret of the successful Lean implementation? Insight from teams. How do you convince your boss to even consider Lean-Agile transformation? Is it possible to push large organizational changes from bottom up or do we have to get top executives on board each time? Answers in this episode! This entry was posted in Podcast and tagged lean, lean management, podcast on October 16, 2017 by Dima Moroz. “Everyone wants results nobody wants methods” – I love this line! And this episode is fascinating. Transforming governments into Lean thinkers must be magic! Thanks, Mila! I love that point too. After all, just like Mike said, it is all about the outcomes. Nobody wants to become Lean just so that they could say it. People want the results, not a black belt in Kanban or something 😉 Hope more governments discover the value of Lean thinking.